UNFORTUNATELY YOUTH COACHING WILL NOT RUN DURING SEASON 2018/19. HOWEVER WE HOPE TO RESUME IN SEPTEMBER 2019. If you are interested in the youth coaching, please get in touch in the first instance through the ‘contact us’ button (above). We can pass on to you information about alternative possibilities and/or keep names on a waiting list. St Andrews Table Tennis Club usually runs community coaching sessions for youngsters from 8 to 15 years old and, during the season and outside school holidays, it meets on a Monday evening between 5:15pm and 6:30pm in Victory Memorial Hall, Market Street, St Andrews. Towards the end of the season, we usually invite the youngsters to bring a parent or guardian along, to have a game and meet the coaches. The youngsters also play annually for the Grove Trophy and can enter tournaments organised by the Dundee and District Table Tennis Association (DDTTA). Dundee and the surrounding area is currently producing some of the best young prospects in the country and we liaise closely with the coaches at Ward Road Gym, Dundee. The club also has informal coaching for adult beginners and ‘returners’. The adult group known as “The Rascals” is led by Elaine Forbes. It meets throughout most of the year, including much of the summer, at least once per week. For more information, please get in touch in the first instance through the ‘contact us’ button (above). The club has adopted the child protection policies of DDTTA and Table Tennis Scotland (TTS). Our coaches hold relevant ‘disclosure’ requirements for working with children and vulnerable adults. The club also requires its coaches to have regard to relevant UK codes of practice for sports coaches. Elaine Forbes Elaine was the club’s principal coach for over 20 years and is a highly respected and well known figure in Scottish table tennis and beyond. Elaine is a former internationalist who has won numerous singles and doubles titles and has even played against the formidable Chinese national team. Elaine can be credited with raising the general standard of play within the club as a whole. 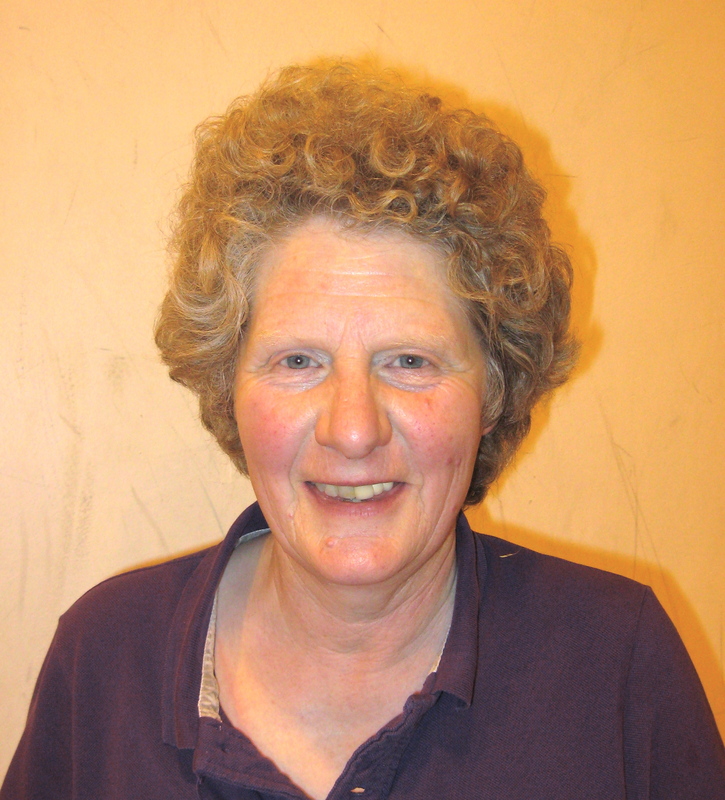 From season 2014/15 Elaine will work predominantly with adult beginners and returners. Dave Beveridge Dave is a typical returner to table tennis. A keen player in his teens, he joined St Andrews TTC in 2012. 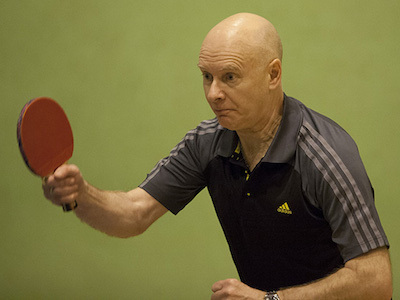 He has since also joined the Scottish Veterans Table Tennis Association (SVTTA). Dave registered as a coach with TTS after acquiring the UKCC Level 1 coaching certificate in table tennis in February 2014. 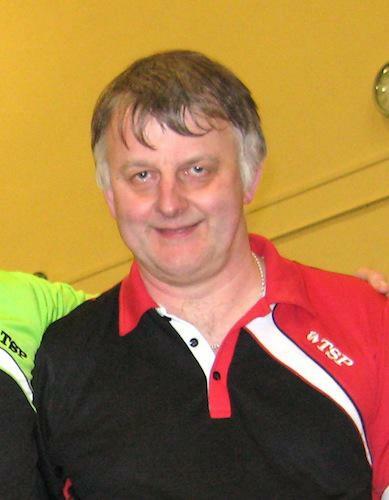 Howard Lee Howard is another returner to our sport who also joined the club in 2012, having previously played competitively in the Preston Table Tennis Association league in the 70s and 80s. Howard is also an SVTTA member and he also acquired the UKCC Level 1 coaching certificate and TTS registration in early 2014. Howard was recently appointed club Head Coach.